A press release in the Wednesday October 8 2014, The Herald introduced the National Transitional Justice Working Group (NTJWG) as a platform established by 46 non-state Zimbabwean transitional justice stakeholders to provide the interface between transitional justice stakeholders and the official transitional justice processes in Zimbabwe. The issues the NTJWG highlights for redress include, past and present human rights violations; conducive security situation for open dialogue regarding past violations; truth; objectivity and credibility; accountability; criminal prosecutions; justice; redress and reparations for victims. While it is obviously prudent to reserve judgment until the outcome, it is equally prudent to remember that the year 2003, when the Johannesburg Symposium took place, was fraught with regime change NGO activity that contested compulsory land re-distribution from a racist white settler minority to the landless black majority in Zimbabwe. It is important to remember that the so-called ‘Civil Society’ had turned out not to be genuine but mercenary mutations speaking human rights language, but out of sync with the historical context of slavery, dispossession and genocide committed on black people by European settlers with obvious encouragement from Western sponsors. What the so-called ‘Civil Society’ clamoured for was ironically for the respect of exclusive property rights founded on the physical and institutional violation of black people’s rights. They wanted European settlers who had not compensated but murdered black owners of the land they now claimed as their inalienable human right, to be compensated by the surviving black victims who stood to benefit from the compulsory acquisition and equitable re-distribution of the resource. If this is the same so-called ‘Civil Society’ still talking, then it means Zimbabwe’s real problem is the determination of whether human rights should be specific to race. In that case, the fundamental test question to determine the integrity, inclusivity and impartiality of the NTJWG would be: Are the inalienable human rights of European dispossessors and murderers of black people the same inalienable human rights of their black victims? Is it objective and impartial to transform the violations of the human rights of black people by European settlers into inalienable human rights for the European criminals? Already, when the press release is pruned of its superfluous verbosity, one senses a surreptitious or mischievous hope that no one notices the omission of ‘Rhodesia’ from the NTJWG’s reference framework. What the deliberate omission exposes is an ulterior agenda to salvage and perpetuate exclusive racist colonial privilege by locating Rhodesian human rights (particularly property rights) outside the historical context of colonial dispossession and genocide. However, what is unfortunate about NTJWG is that the date of the Johannesburg Symposium that set its agenda fell in the Heroes Week of the Zimbabwean calendar and it ironically foregrounded not the intended plight of the Rhodesian settler farmers but the atrocities committed by the same Rhodesians in defence of exclusive racist privilege. 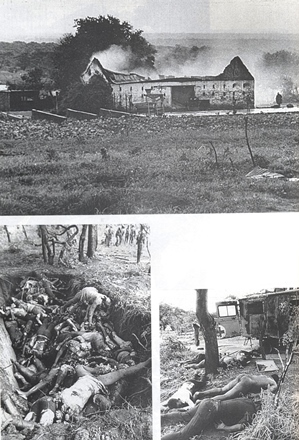 In the making of a racially all-inclusive Zimbabwe from the segregatory barbarism of racist Rhodesia, August 9 2003 was the 27th anniversary of the Nyadzonia Massacre by Rhodesian Selous Scouts. In his book, Pamwechete, Reid Daly, Commander of the Selous Scouts, proudly celebrated the kill figure of over 1 000 ‘brown jobs’ in the massacre. The NTJWG is reminded that to date, Rhodesians have not shown any remorse for not only that atrocity but for many others, among them, Chimoio, Tembwe, Mkushi, Freedom Camp etc. There has been no acknowledgement of the need for reparations and compensation. On the contrary, Rhodesian authors like Peter Stiff, JRT Wood among others have outdone each other celebrating the genocide of the 70s and, there has never been so-called ‘Civil Society’ concern over how the wounds of racial hate have been kept open by the racist Rhodesian literature. Given the foregoing background to the birth of the NTJWG, the logical starting point of the NTJWG mandate should humanely and certainly be an acknowledgement that the partition and occupation of Africa by European settlers was informed and sustained by the paradigm of the slavery of black people. It is certainly not difficult to prove that as black slaves were made redundant by the mechanisation of agriculture during the Western industrial revolution, the occupation of Africa for the requisite resources and extended markets became an economic necessity, logical mainly as a cost-cutting measure that undercut the slave trading middlemen and enslaved the black man in the context of his own home. The black man was forced to dig his own minerals and work his own land but not for his own benefit. Indeed, the NTJWG must be thankful that the historical context of Rhodesia offers bold, transparent and unambiguous definitions of the human rights violations that are the group’s concern. It would certainly be curious if the NTJWG had problems identifying the victims and villains of Rhodesia especially in view of determining the relevant and well-deserved compensation and reparations. This interrogation of the National Transitional Justice Working Group’s press release recommends that investigations into human rights violations in Zimbabwe with the objective of determining deserved reparations for victims must begin with an acknowledgement that the European occupation of Africa, decolonisation and the current neo-colonialism are all elements of a paradigm of the enslavement black people.